Whether you are buying or selling residential or commercial property, the attorneys at Denton Peterson have the experience to represent you in all stages of the transaction. For homeowners, before you can settle into your new home, you will need an experienced attorney to draft and review all documents relating to the sale of your previous residence and the purchase of your new home. This could include purchase contacts, options, seller property disclosure statements, deeds, liens and more. When purchasing commercial property, you will have a similar but distinct set of legal issues. Commercial transactions tend to be larger by dollar amount and tend to require more due diligence. A typical commercial real estate purchase will have several tasks to be completed and supervised by an experience lawyer. You can rely on the Denton Peterson attorneys and paralegals to understand your goals, identify potential obstacles, and find the best way for you to realize the benefit of the bargain while avoiding the risk of any unpleasant surprises later. Once the contracts have been signed and the sale of your new home is finalized, you may run into issues regarding your property’s boundaries and easements. Over the life of the home, boundary lines may become unclear, and your neighbor could take advantage of the lack of clarity by crossing over the property boundaries and, in some cases, by actually taking your property through a statutory process called adverse possession (also known as “squatter’s rights”). The Denton Peterson attorneys have experience reestablishing clear boundary lines between you and your neighbors. In fact, we recently obtained a jury verdict after trial on a quiet title action to do just that. Furthermore, we have experience defending and bringing claims for adverse possession to protect your property from encroaching neighbors. We are also prepared to draft, review, and help you enforce deed restrictions, easement agreements, well agreements, private road maintenance agreements, and any other agreements entered into between you, your neighbors and previous owners to the properties. When you purchase a property in a Homeowners’ Association, you open yourself up to additional legal issues. Buying property in an HOA contractually binds you, along with the Association, its Board of Directors, and other owners within the Association, to maintain your property and to use it in specific ways. Several legal issues may arise from this contractual relationship. First, the Association may incorrectly interpret or improperly enforce the Covenants, Conditions and Restrictions (“CC&R’s”), the bylaws, and any other governing documents. The Association may breach the contract or “selectively enforce” the terms of the contract more severely against you than against your HOA neighbors. Denton Peterson attorneys have many years of experience bringing claims on behalf of HOA members for the HOA’s selective enforcement of the CC&R’s, failure to maintain common areas, negligent use of Association funds, and many other inappropriate actions. The Denton Peterson team is also well-equipped to help you amend your HOA’s governing documents and to defend you and your property from unreasonable penalties. Excellent job representing my case! Although the United States has seemingly climbed its way out of the recession which was caused in great part by the housing bubble, there are still those who are looking for advice about their underwater mortgages. The Denton Peterson team has successfully negotiated significant discounts – up to 90% – on distressed loans. Furthermore, we are ready to discuss with you all the legal consequences of foreclosure and short sale in an effort to help you make the best decision for you and your family. In addition to representing borrowers, we also represented many lenders of delinquent mortgages. In these cases, we are prepared to manage all aspects of the foreclosure and subsequent trustee sale. We are very familiar with both judicial and nonjudicial Arizona foreclosure law, and we pride ourselves on making the process as easy and comfortable for you as possible. The landlord/tenant relationship is one based on contract, and there are many legal issues that may arise during the course of this contractual relationship. The Denton Peterson team has experience with both commercial and residential leases, and we are ready to advise you regarding each. Landlords may need help drafting, revising, or reviewing lease agreements. Landlords may also run into problems concerning tenant noncompliance with the lease agreement. When all other options are exhausted, landlords may need to resort to eviction as a solution to a noncompliant tenant. Denton Peterson attorneys are ready to guide landlords through Arizona’s eviction laws and procedures. Our team will write all the required legal notices and represent our landlord clients at trial if the tenant challenges the eviction. Most importantly, we will serve as an unemotional third party in the tumultuous landlord/tenant relationship so that the eviction and transition can go as smoothly as possible. Tenants often need help enforcing the terms of the lease agreement as well. If the landlord fails to properly maintain the property or impermissibly enters the property without giving adequate notice, the tenant may have a claim against the landlord. 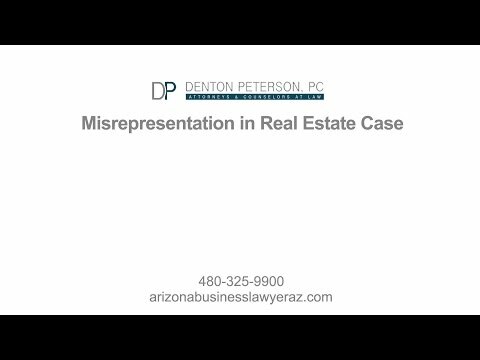 The Arizona Residential Landlord and Tenant Act can be difficult to navigate, so the attorneys at Denton Peterson are prepared to help you understand your legal rights and remedies when your landlord breaks the law or breaches your lease agreement. In the past, the attorneys at Denton Peterson have worked with Real Estate Agents on a number of issues unique to Real Estate Agents. If you are concerned about your potential liability in a particular transaction you facilitated, or if your commission is being wrongfully withheld by your broker, the attorneys at Denton Peterson have the experience to help you preserve your good reputation an protect your rights. Whether you are a residential or commercial property owner, landlord, tenant, or real estate agent, the Denton Peterson team has the knowledge and experience to help you with any real estate issues you may encounter. We represent all parties in real estate transactions and relationships. We will take the time to thoroughly examine the facts of your case, determine whether you have a valid claim, comprehend your desired solution, and explore all avenues to help you achieve your goals. We understand that your home and other real estate assets are some of the most important investments you will make, and you can count on us to take any threats to the security of your property as seriously as you do. Contact us today for help with any real estate law issues. Brad Denton represented a timeshare owner client in a dispute with his homeowners’ association in northern Arizona. After a two-week trial, the jury awarded judgment to our client, including attorneys’ fees. The homeowners’ association then filed bankruptcy to avoid paying us. We continued the lawsuit in bankruptcy court, where we prevailed in several hearings. Eventually the homeowners’ association was forced to pay all our attorneys’ fees from the trial court AND at the bankruptcy court level. Bert Millett has drafted the structure of an integrated family of LLCs to purchase and manage numerous real estate acquisitions. Brad Denton represented a landowner in a quiet title dispute over a long strip of land that was claimed by two neighbors. After a full jury trial, the jury awarded judgment in favor of our client. Bert Millett, Brad Denton and Elena Cottam have drafted many contracts related to sale and rental of real estate. Brad Denton, Sterling Peterson, and Bert Millett have helped clients bring partition actions to divide real estate and other property owned by business organizations such as partnerships, limited liability companies, and corporations. On behalf of borrowers, Bert Millett has negotiated significant discounts – as much as 90% – on distressed loans. Brad Denton and Bert Millett represented a lot owner who needed easement and property lines revised in his subdivision, to allow greater use of his property. We negotiated the deal with the homeowners’ association and drafted and recorded the necessary legal documents. On behalf of our credit union client, Brad Denton and Bert Millett have obtained foreclosures against clients in arrears on their property payments. On behalf of Denton Peterson’s lender clients, Bert Millett has conducted numerous trustee’s sales on delinquent real estate loans. Brad Denton and Larry Dunn represented a real estate agent who had been fired from her agency in violation of her agreement. We represented her employment and contract claims in federal court. A court-approved settlement awarded our client all her contract damages and all her legal fees. Sterling Peterson and Brad Denton represented a buyer of a residential lot. Our client was misled about the lot he was buying. He was told that he was buying a lot next door to the one that was actually sold to him. We collected evidence about the communications that had taken place and parties involved so that we could bring a lawsuit to force the seller to abide by the original agreement, or force the agent to compensate our client for the losses. Brad Denton, Bert Millett and Elena Cottam have been involved in a long-running dispute between members of a limited partnership that owns large land holdings in eastern Arizona. 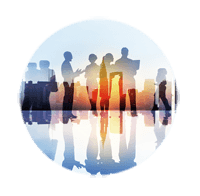 We have been involved in extensive negotiations and legal proceedings and have successfully fended off claims of wrongdoing by other partners, while helping our clients to maintain control over the actions of the partnership. Brad Denton, Bert Millett, Sterling Peterson and Larry Dunn have worked on many cases involving commercial leases. Larry Dunn has represented numerous landlords in eviction proceeding after lease violations, including failure to pay rent and numerous other types of breaches. Larry Dunn has also consulted with numerous landlords and tenants regarding legal issues related to existing residential lease contracts. Sterling Peterson has represented commercial tenants in disputes regarding premises lockouts. Is Your Real Estate Agent or Broker Cheating You?